Al Shaban and Al Hammad ... in a major partnership deal. DGC Industrial, a division of Dividend Gate Capital, has made a strategic investment into Bahrain-based Driver Auto Services, in line with its strategy to prudently invest and build world-class businesses to generate and deliver consistent annual returns to the investors. A one-stop-shop for auto services, Driver Auto Services was established in 2004 at Riffa area of the kingdom. It offers a range of 55 services; from polishing, building tinting, commercial wrapping and car rentals, said the company in a statement. 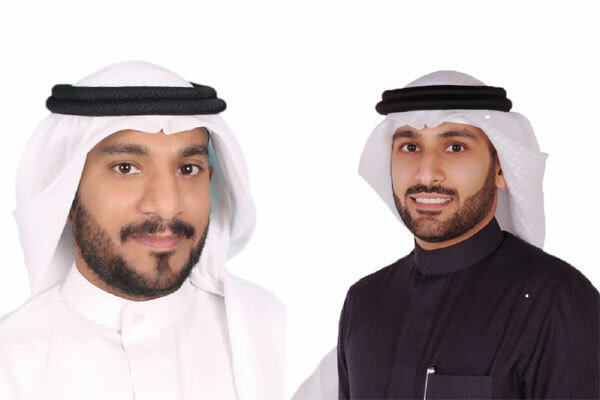 On the key investment, CEO Khaled Al Hammadi said: "We are excited about our partnership with Driver Auto Services. This venture fulfils our mission to grow and nurture Bahraini businesses servicing the Industrial sectors." DGC Industrial, he stated, invests in various industries such as construction, manufacturing and agriculture besides overseeing and ensuring capital growth in their beneficiaries. Bader Al Shaban, the founder of Driver Auto Services, said: "With the support of DGC Industrial, we will be expanding our operations in the kingdom with a second branch in Tubli." "The new branch will offer state of art equipment and quality care for services that will be synonymous with the Driver Auto Services brand," he added. DGC Business Development Manager Bader Amin said: "Our approach is to grow our investments as partners in their evolution and progress. Currently we are looking at four other companies which will also be part of the DGC Industrial division strategy to create growth amongst home grown brands in Bahrain." By achieving its goals, the Manama-based company aims to create a knowledge bank that will benefit the kingdom’s goals in achieving Bahrainisation across the economic spectrum. The fundamental resources of DGC are in a highly competent executive team that will provide management support and mentorship to the portfolio companies under DGC management. DGC leverages its network of key experts and advisers across GCC, Europe and US, to provide added-value expertise on investment management and strategic planning to develop growth in the value of companies within its investment portfolio.